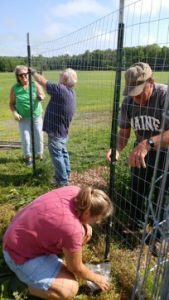 University of Maine Cooperative Extension in Piscataquis County gives local residents access to the resources and expertise of the University of Maine. Through educational programs and resources, UMaine Extension delivers unbiased, research-based information to Piscataquis County citizens. We can answer your questions on a wide array of topics. To find out how we can help you, browse our site or contact us. It is important that we ensure equal opportunity to all who might benefit from our programs. As a way to document those we are reaching, we are seeking the following information on an optional and anonymous basis. Please take our Equal Opportunity for All Survey. Thank you for your assistance. See News & Events or our News & Events RSS Feed for the latest offerings from UMaine Extension in Piscataquis County. New to RSS? Learn more.